Fun fact: He completed all 10 levels of Suzuki before the age of 10. 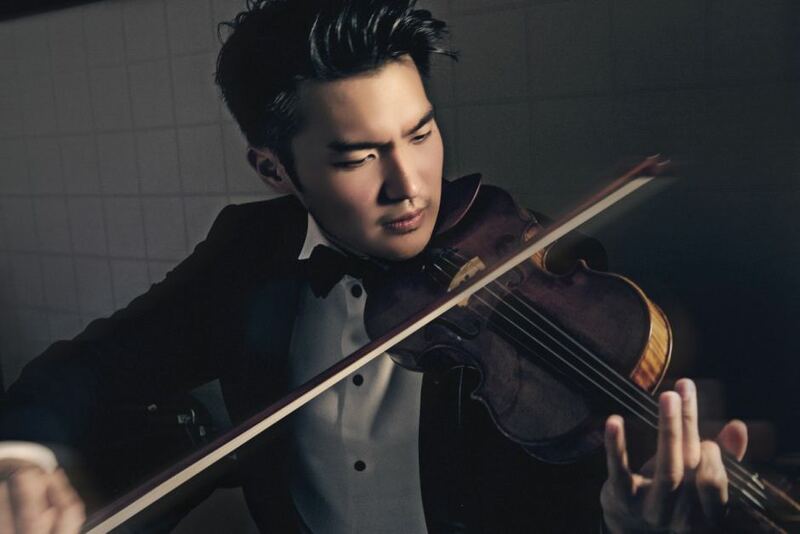 Having started the violin at 4, he has now become one of the most well-known young violinists today. He received his education in Australia, and his talent enabled him to perform in the Queensland Philharmonic Orchestra, the 1998 Winter Olympics in Japan, and was awarded the Sydney May Memorial Scholarship of the Australian Music Examinations Board (AMEB) – all accomplished at a young age. His consequent achievements, such as winning the 2008 International Yehudi Menuhin Violin Competition (an international violin competition for young players under the age of 22) brought him further musical attention, such as that from Grammy award winner Maxim Vengerov. Ray completed a bachelor degree in the Curtis Institute of Music, and has subsequently gone on numerous tours globally. He was even invited (as the youngest soloist) to perform at the Nobel Prize Concert in 2012. Ray is now signed with Sony Classical (since 2010). The first in his family to become a musician, Ray embraces new opportunities to share the power and passion of music – which makes him more than just a musician. Combining his talent and social activism, he is continuously expanding the audience’s love for classical music by reaching out to them in all social platforms. When he came to Peru back in 2014 and the orchestra (that I play in) accompanied him, his attitude towards music performance was notoriously different to other soloists we’ve performed with. One factor is probably the age – most soloists are way older; the other factor is that music is mainly the center of attention for them. But Ray also sought to tutor and share with us his musical tips, making this experience more than just a musical performance. Taking advantage of social media, Ray has platforms in Soundcloud, Twitter, Facebook, Instragram, and was even invited (as the first classical musician) to blog about his life as a violinist in the largest Italian magazine, RCS Rizzoli. Through these platforms, he is revolutionizing classical music as the new ‘cool‘. One of Ray’s latest (philanthropic) projects is called Musical Heroes, in which he aims to visit communities and schools around the world to help spread the love for music. It’s called Musical Heroes because he wants to give recognition to individuals who are making music possible but often lack the necessary (financial) means to achieve it. Ray has made this project a YouTube series (the first episode is below) as a means to show to genuinely show what this project is about, and hopefully inspire others to join the action (through funds). By combining his passion for music and his desire to inspire such artistry in others, Ray is changing the perception of classical music in this generation and, most importantly, combining aesthetics of music with the ethics of life to unite communities.